CLiPtec Bluetooth Wireless Stereo Headset PBH405 features an incredible soundscape via 50mm driver. 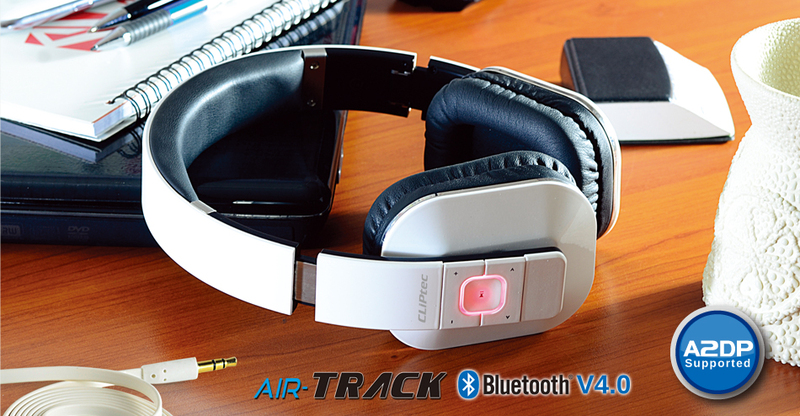 The Bluetooth Version 4.0 function lets you connect the headset to other Bluetooth devices such as tablet or smartphone.CLiPtec PBH405 compatible with major smartphone types are covered (iPhone, Android, Blackberry, Windows Phone) ensuring complete control over music/media playback and phone calls. 50 mm drivers provide a detailed audio experience at high, low and mid tones. The headset pairs easily with tablet, smartphone and A2DP Bluetooth-enabled devices. These Bluetooth wireless headset function with a transmission range of up to 30 feet (10m) for total wireless convenience. Built-in rechargeable battery provides up to 10 hours communication time and music playback on a single charge. Let you control the volume up/down, play/pause, switch tracks and answer calls. Invisible microphone with high- performance sound quality for clear conversations. Flexible and adjustable with memory scale to ensure each head shape is suited with best possible fit. For easy storage and maximum portability, the foldable design can be kept in the handy carrying case. Equipped with a 3.5 mm audio slot for non-Bluetooth devices.